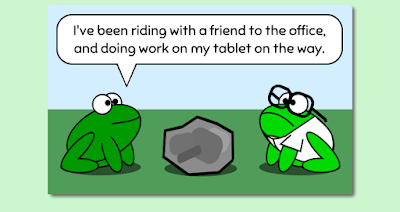 One of my stated goals when I started the Amphibian.com web comic was to include interactive experiences directly in the comics. My idea is that this kind of thing takes web comics more towards the web. It uses more of the browser as a medium. It's the next level of comics. That means every so often, when the joke calls for it, I include some interactive or dynamic content in the comics. Today's comic has a game embedded in the third frame. And that's why I love Phaser. I had to take a break from working on my platformer to make today's hedge maze game, but thanks to Phaser it didn't take all that long. I only wrote somewhere around 150 lines of code and I have a small game playable in a desktop browser. When I first tried Phaser (making my 404 page game) I was a little skeptical. I am very careful about which frameworks I use for any of my projects, but at this point I am totally sold on Phaser as an HTML5 game development framework. It just saves me so much time. The way it works makes sense, and it performs very well. Prior "games" that I've put in the comics have taken a lot more time to develop and done a lot less than this hedge maze one today. Expect to see more like this in the future. Last week when I added a second level to my platformer, I used multiple Phaser State objects. I had one for each level plus one for the "select a level" mode. While this worked, I wasn't particularly happy with it because every one of the level's State object was identical. It seemed to me that there should have been a better way. As is often the case with me, I work on these games late at night and usually only for an hour or so, and I don't think of what is later the obvious solution until I've been away from it for a while. Over the weekend, I came to the conclusion that I should only be using a single State for all the different levels and merely changing which map gets loaded by other means. Here are those other means... First, I created some simple objects which contain the map and music asset keys for each level. I put them all in a map inside an object I called gameState. This is different from a Phaser State object - I use it to keep track of my own personal state information. So far, that means which map is being played and what background music to use. I pass this gameState object to the constructors for both the stage select and the playable stage. As you can see in my code snippets above, I now only have to add two States to the Game. Inside the update function for the stage select state, I simply manipulate my gameState object before switching the Phaser State to the playable level. Once a new State is started, the create function gets called on it. In my create function, I use the gameState object to get the current level's map and background music. You can play the game at http://amphibian.com/eight-bit and you can view the complete source code on GitHub. Take a look at today's comic before you go. 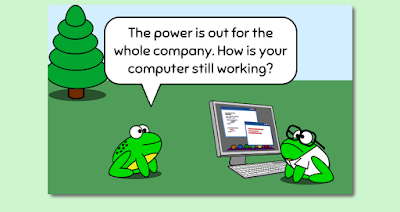 I brought back Science Frog doing tech support for the other frogs, because it's funny. This will be a short post today, and contain no significant content. 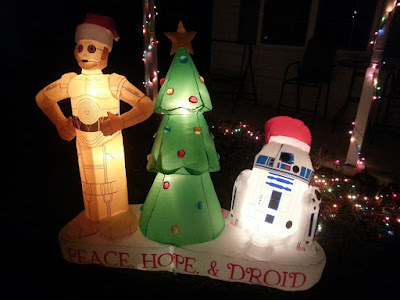 I figure everyone will probably be doing something more important that reading my blog today, Christmas 2015. 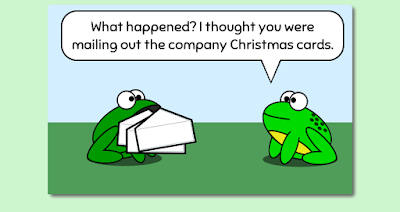 Anyway, I hope you read and enjoyed my Amphibian.com version of A Christmas Carol. 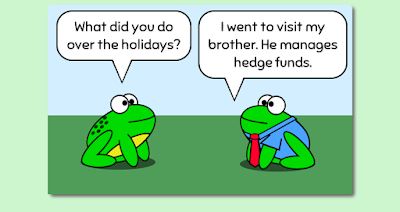 In the end, today's comic, the CEO frog decides to never give thoughtless gifts again. I feel like it's an important lesson for all of us today. But I was surprised to learn that it was an important lesson for us 100 years ago - a lesson that NO ONE LEARNED! That's right, over a hundred years ago Eleanor Robson Belmont started the organization known as SPUG - the Society for the Prevention of Useless Giving. 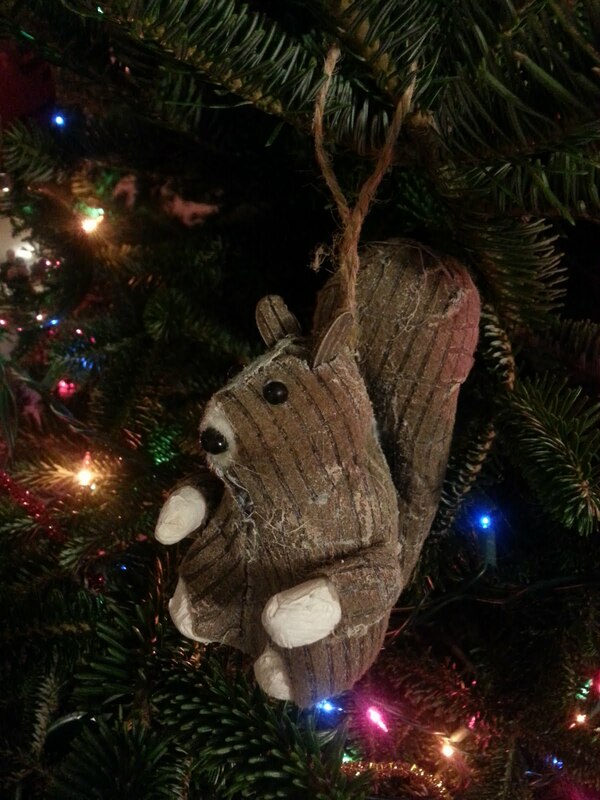 It was a response to what was seen as wasteful spending on gifts for the sake of gifts at Christmastime. Sound familiar? I guess some things never change. SPUG got a lot of attention back in the second decade of the twentieth century, but the outbreak of World War I took the focus off of revolutionizing the way Christmas was celebrated. The Society doesn't officially exist anymore. Maybe it's time for a comeback? In any event, have yourself a Merry Christmas. I'll post again on Monday with some more progress on my platformer and we'll all play it and be joyous as we await the start of 2016. Last week I started getting my platformer set up to have more than just one stage. I created some State objects, one for the title screen and one for the sandbox stage. Today I wanted to continue that process by adding a second playable stage. Let's call this new stage Stage 1. I think I'm going to number the stages by the bit positions, so we'll have Stage 1 (1), Stage 2 (10), Stage 4 (100), etc. For now, I'm going to leave the sandbox stage in there as Stage 0. Because of the groundwork I laid over this past weekend, adding the additional stage was easy. If you remember, I created a playingState function which returned a Phaser State object representing the playable stage. Today, I modified that function and renamed it to stage. It now takes a single numeric argument and uses that to select which map and music will be loaded. For the above code to work as expected, I had to add more game assets to my pack.json file. I now have two tilesets with keys stage0 and stage1, and two audio types with keys bgmusic0 and bgmusic1. Adding more stages is as simple as adding more tilesets and music to the asset pack. In the game setup, I simply call stage twice. The first time to create the State object for the sandbox and the second time to create the State object for stage 1. While this works and was fairly simple, it bothers me a little bit. Since 99% of the stage is exactly the same (the only behavior that differs based on the input parameter is in the create function) I really hate calling the stage function more than once, each time creating a functionally identical closure. I think I'm going to optimize this a little more. Stay tuned. As I've mentioned before, you can play the in-progress game at https://amphibian.com/eight-bit and you can check out the complete source code on GitHub. Leave a comment with any feedback, and don't forget to read today's comic. It's part 4 of my Christmas story and includes the third and final goat! I hope everyone is looking forward to Christmas this Friday for all the right reasons. It's gotten difficult to teach my children that Christmas isn't about providing a list of expensive items that will be purchased for them in exchange for good behavior. The Santa-Industrial Complex is working hard to convince us all that we need to buy stuff for everyone we love this time of year. 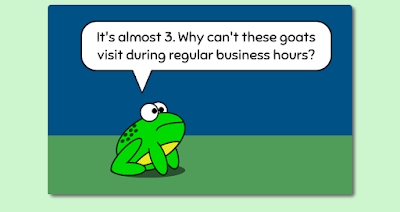 The series of comics I'm running right now at Amphibian.com is my attempt to poke fun at this modern tradition. 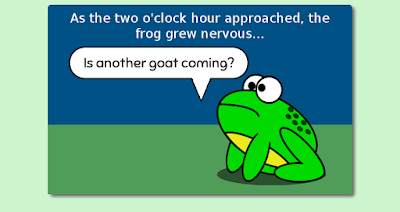 Last week, the Goat of Christmas Past reminded the CEO frog that no matter how good presents might seem, they don't last. Odds are, you don't currently have many (if any at all) gifts you were given as a child that are still valuable to you today. 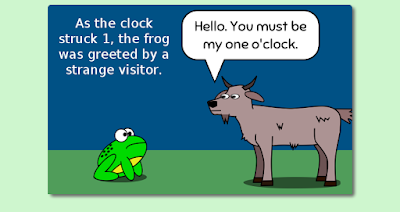 In today's comic, the Goat of Christmas Present shows the frog that too many people are giving gifts that aren't really needed. How many coffee mugs do you really use? Please don't think I'm some kind of villain worthy of mention in a Dickens story. I don't hate the giving of gifts on Christmas. I am just suggesting that as a society we should take a closer look at our motivations. Why do we go crazy and spend $59 bazillion between Thanksgiving and Christmas each year? Is it because we've all lost the ability to show our love for each other without enlisting the help of Wal-Mart and Target? There is an aspect of the gift-giving craze that I suspect few people stop to consider. Many people don't feel loved when they are receiving gifts. At least that's what Gary Chapman wrote in his book about the Five Love Languages. While there seems to have been little research done to confirm his theories, I've read it and it does seems to fit extremely well with my experiences. Some people feel love by receiving gifts. But a bunch of other people don't, or at least not as much. So if our goal at Christmas is really to show our love for each other, shouldn't we desire to do that in the way the recipient will most feel love? There's a good chance that won't be a gift. 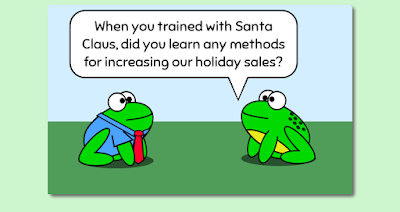 But if we're really just buying gifts because advertising agencies have fooled us into believing that we need to in order to conform to the Christmas rules, maybe we should stop. If you've tried playing the sandbox level for the 8-bit style platformer I've been building with Phaser, you have seen that it just drops you right into the stage. There's no splash screen or level selector or how-to-play instructions. It's just *BAM* do something! Today I decided to change that. Making different types of screens with Phaser means working with different States. What is a State? In its simplest form, a State is just a set of functions - preload, create, update, and (optionally) render. When you first switch to a State, preload and create are called. Then update is called continuously until you do something to change the State. If you create a very simple game (like mine has been so far) you might only have one State and you might not even call it that - you can just pass in an anonymous State object when you create the game! Basically, I was creating a State object inline with the call to the Game constructor. It was a simple object that defined the 4 functions I mentioned previously. As soon as the Game was created, this State started running. It's possible to create multiple States using different combinations of globally-defined functions, like the code above, but that would get ugly fast. I know this isn't exactly OO, but I still want to practice good encapsulation. I want separation of concerns. What did I do? I created two functions which generate the two different states! One for the simple title screen and one for the game as it has been up to this point. The title screen state just shows a single image and waits for the player to push the 'S' key. Once pushed, the update function in the title state changes the game state to the playable sandbox state. * Creates the game state which defines the title screen. * Creates the game state which defines the playable level. The "main" game setup is much simpler now - it just creates the state objects and then the Game. The game starts with title as the running state, but adds the sandbox state with the key "sandbox." The key is important because that's what you have to use when you want to switch states. The other thing to note is that in the State preload, create, and update functions, the this variable will refer to the Game object. That fact becomes important when you are creating in-game objects in these functions. Check out the game with its fancy new title screen here: http://amphibian.com/eight-bit/, and visit the project page on GitHub if you'd like to see the complete source code. 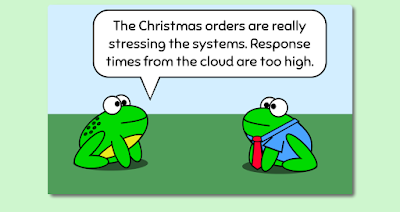 Over at Amphibian.com, today is Chapter 2 of my Christmas story - give it a quick read! After adding the health meter earlier this week, the playable sandbox level for my platformer built with Phaser was looking much more complete. There are just a few more things I need to add before I switch my focus to level design and make a legitimate game out of it. One of those things is more weapons. My plan for the game is to make it similar to a classic 8-bit Mega Man game. In those, after defeating one of the bosses, Mega Man could use the weapon from that boss. To make that happen in my game, I'd have to expand the weapons capability. I needed to add the ability to switch to different weapons that each had different qualities. The overall group, weaponsGroup, is created first. Then I set up an array of 4 weapon types. The name is important because I have it set up to match the sprite asset key for that weapon. I then loop over the weapons array and create a group just for a set of those weapons. I set that group as the sprites field on the weapon object - I'll need to reference it later. Also, those groups are added as children of the weaponsGroup. At this point I have a group of weapons groups. Any of these can be use to strike an enemy, so they must be checked for enemy collisions. A slight change in my update function takes care of that. The overlap function can take an array of groups in addition to a single group, and the children field of a Group object is the array of child groups! 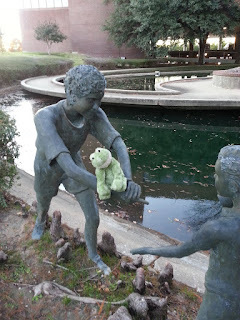 Okay, so how do I have the frog throw a particular type of weapon? First, I added a variable to the game called weaponIndex. It is set to the index of whatever weapon is currently active. So far, I have 4 weapons which means that the index can be 0, 1, 2, or 3. Then in my throwSomething function, I get the weapon object out of the weapons array using the index and use its properties to perform the toss. // has it been long enough? can we throw something yet? This code is very similar to what I had before, when the only weapon was the pencil. The differences are that the sprite, lifespan, velocity, and power are pulled from the weapon object in the weapons array instead of always being hard-coded to the same values. One final change was to the function that handles hurting the enemies when there is a collision between a weapon and an enemy. Previously, I used a fixed damage value for the enemy. Now, the damage to the enemy is based on the power field of the particular weapon that is hitting it. For example, it takes 4 hits with a pencil to kill a toad but only 1 hit from a curly brace. The hurtEnemy function is what gets called when overlap is detected between a sprite in the enemies group and a sprite in one of the weapons groups. The first parameter e will be the enemy object and the second parameter w will be the weapon that hit it. Since my throwSomething function set the power field on the weapon sprite to match the power field on the weapon definition, I can read that property here to control the amount of damage to the enemy. Want to give it a try for yourself? Play the game here: http://amphibian.com/eight-bit/. Just hit 1 through 4 on the keyboard to switch between the different weapons. If you'd like to see the complete source code, it's on GitHub. As for comics today, this is the first of a 5-part Christmas story. It roughly follows the pattern of Dicken's A Christmas Carol, but...well, you'll see. They're a bit longer than the normal ones, but don't take too much longer to read. I hope you enjoy them! As some of you may have noticed, I haven't been making much progress on my 8-bit style platformer lately. A business trip to Texas, Christmas decorating, kids' school Christmas programs, and some minor surgery took away all of my spare time. This kind of thing happens sometimes (well, except for the surgery part - that was the first surgery I've ever had) and I don't mind at all. Getting ready for Christmas and hearing my children sing at school will always be more important than making games with Phaser. But that surgery thing...I can certainly do without that. I'd much rather makes games with Phaser. However, since all that stuff is done and I am sitting here recovering from the surgery, I might as well work on my game some more! 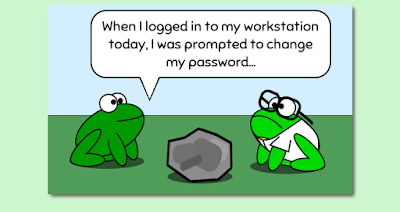 Today I added the frog's health meter to the screen. The health meter (or life bar, health bar, or whatever you like to call it) has been missing from the game so far. 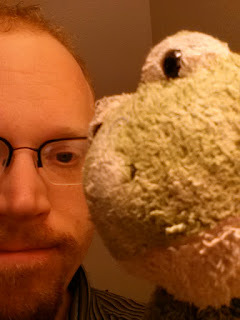 The frog could take a certain amount of damage but you could never tell just how much more he could take. I wanted to add a simple bar-of-color health meter to the screen so players could get some idea of how close they were to a Game-Over. I ended up doing this by drawing colored rectangles in the game. It wasn't too difficult, but was a little different than putting image-based sprites on the screen. I had to create some Bitmap Data. The Health Meter, showing that this frog has taken a little damage. What exactly is Bitmap Data in Phaser? The Phaser.BitmapData object gives you the ability to draw graphics much like you would in a traditional HTML5 Canvas. You can think of it as lower-level access to the graphics, but you can also think of it as an alternative source of a Sprite's image. Instead of PNG image data, you could manually create an image using BitmapData. In this function, I create the health meter. It is essentially a black rectangle with a slightly smaller red rectangle inside of it. The size of the red rectangle will shrink as the frog's health decreases. First, I create a Phaser Group for these meters, then I create the bitmap data that will be used for the back of the meter. The call to game.add.bitmapData(20, 100) creates a BitmapData object 20 pixels wide and 100 pixels tall. The next 4 lines draw a filled rectangle which takes up the entire size of the bitmap. These lines are pretty much the same as you would use if you were working directly with the HTML5 Canvas context. After creating that bitmap, I create a Sprite using it as the key. If you were creating a sprite with an image file, this parameter would be the name of the image's key in the set of game assets - but here I can use the bitmap data directly instead. I now have a black rectangular health meter background sprite that I can fix to the camera and add to the meters group. The next block of code does basically the same thing, but for a slightly smaller rectangle with red fill. 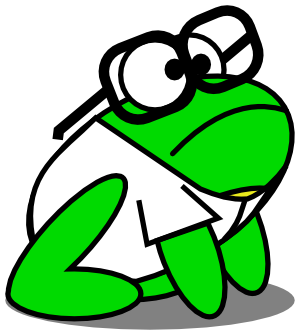 I called this Sprite health because it represents the health of the frog, and it will be updated throughout the game. Now take a look at just how the update occurs. In my game's main update function, I call the following function, updateHealthBar. The first 3 lines just do some simple calculations to determine how tall the health meter should be and a vertical offset for it (so it looks like the bottom is 0 instead of the top). Then it gets weird. I have to access the key of my health sprite in order to get the reference to the bitmap data object. Once I have that, I can once again do some rectangle clearing and drawing commands directly on the bitmap's context. This is low-level, like drawing directly to the Canvas. But it works perfectly, and the health meter displays and functions properly in the game. Remember, you can view the complete source code for the game on GitHub, and you can play the latest version here: http://amphibian.com/eight-bit/. And as always, don't forget to take a look at the latest comic! It's almost Christmas! Today I was curious just how many comics are still being viewed because of the ad almost a month later. I ran my database queries again and found that over the past 3 weeks (all outside of the ad's run) there have been 183 visits to the main page of Amphibian.com by people who have the cookie. While not an astounding number, I'm still pleased with it. It means there are quite a number of new people coming to read the comics that would not be had I not run the ad. In related news, I'm having a lot of trouble staying in the top 100 this month. Voting is fierce in December, I suppose. I could use a few more votes if you have a second. Just click here. Remember to take a look at today's comic, even if you never clicked on the ad or visited TopWebcomics.com. It doesn't matter to me why you look at them. Just do it! 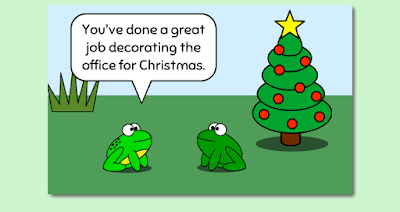 Like the frogs of Amphibian.com, I have also been decorating for Christmas. 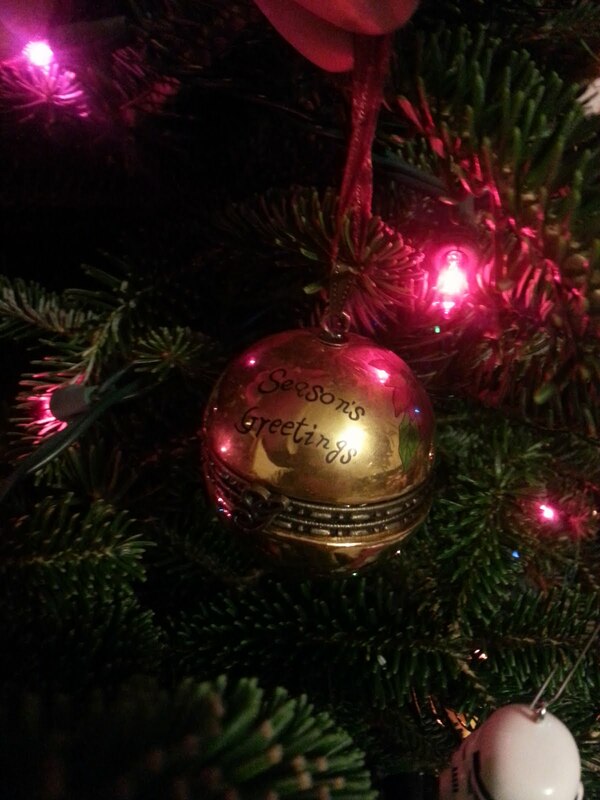 My family's Christmas tree is adorned with ornaments collected over the years that have a special meaning to us. This first one actually opens up. It originally had the engagement ring I gave to my future wife back on December 21st, 2001. Inside it today is still a little bit of the wrapping paper from the box. 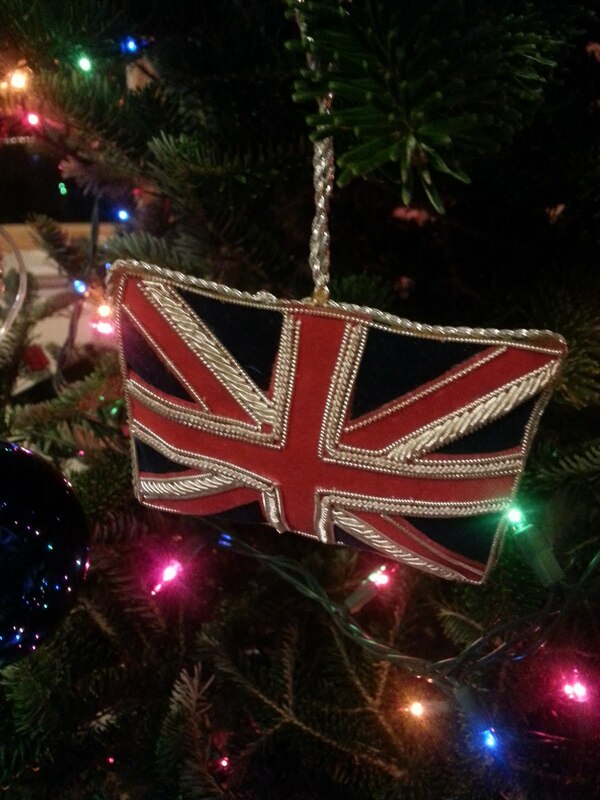 We picked up this Union Jack ornament on one of our trips to the United Kingdom back before we had children. 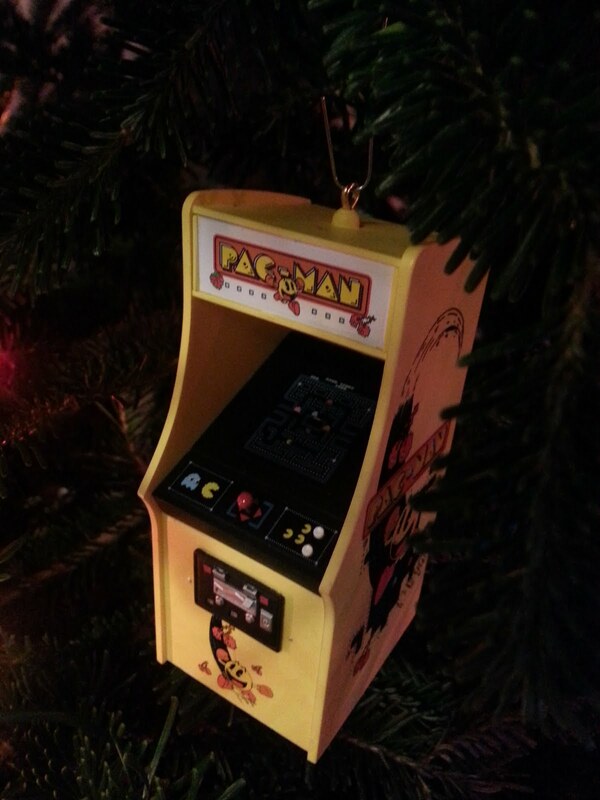 I love this Pac Man arcade machine ornament. It plays the music from the game if you push the buttons. We got this back when I was buying classic arcade machines. 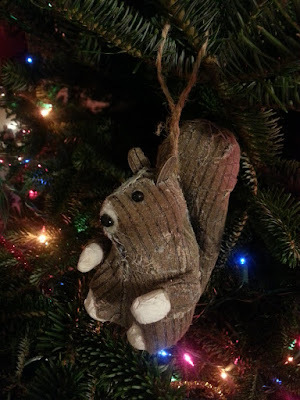 I picked up this rustic squirrel ornament on clearance at a Meijer store in central Ohio after Christmas. We used to travel there in January every year to celebrate post-Christmas with my mother's family. It reminds me of those trips. I got this Octocat ornament from GitHub earlier this year with my winnings from the GitHub Game Off 2015. I've been waiting 9 months to hang this thing up! That's all I have to share today. I know, two posts in a row with no code to share. It's a busy time of year. 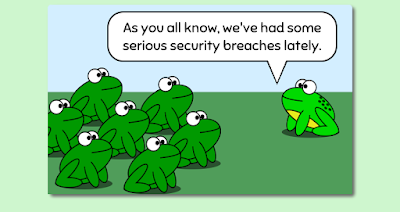 The frogs have been busy as well, so be sure to check out all their decorating work in today's comic. 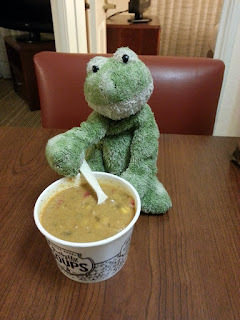 I'm back home from another week in Texas! 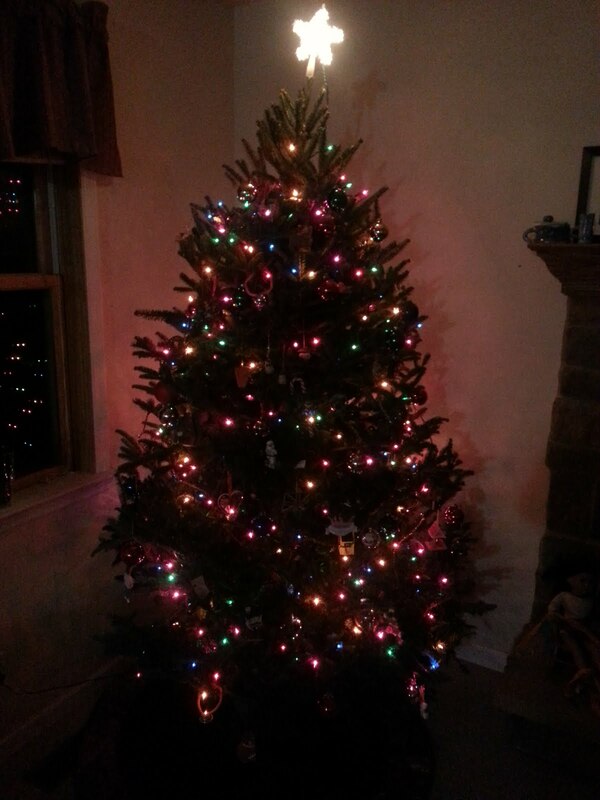 Since I've basically done nothing but cut down a Christmas tree and hang up some lights since Friday, there's no software-related material to share today. 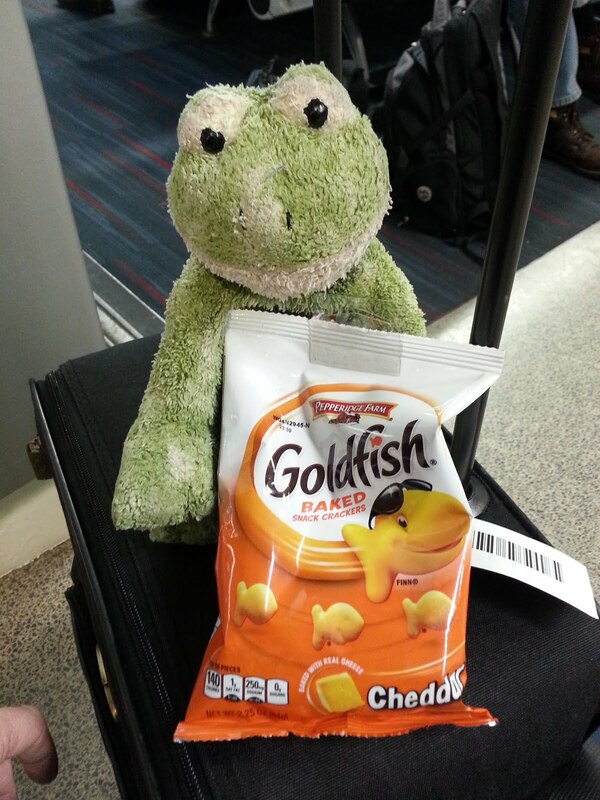 Instead, how about some more pictures of my daughter's stuffed frog who accompanied me on my trip? This past week was Froggy's 5th trip to the Dallas area. airport while we wait on our plane. 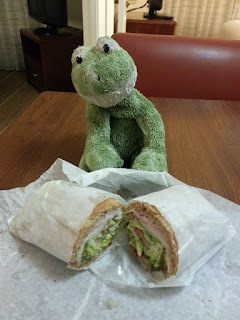 We split a sandwich for dinner the first night. 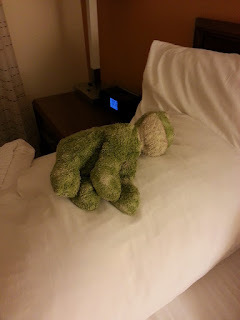 Froggy gets more sleep than I do on these trips. 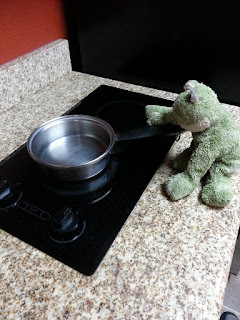 Cooking dinner in the hotel room. Froggy only knows how to make macaroni and cheese. 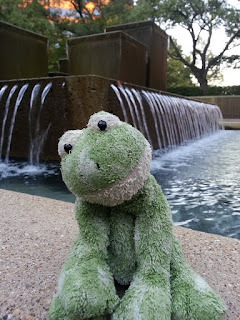 We found this nice fountain while walking around one evening. And we found this weird statue. It's outside the State Farm Operations Center. 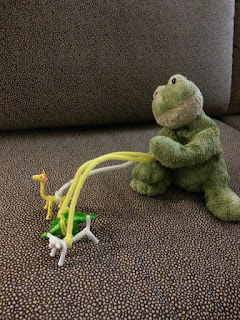 Froggy took his pets for a walk. They are a giraffe, a cow, and a stegosaurus. We had to get up really early to get our flight home. 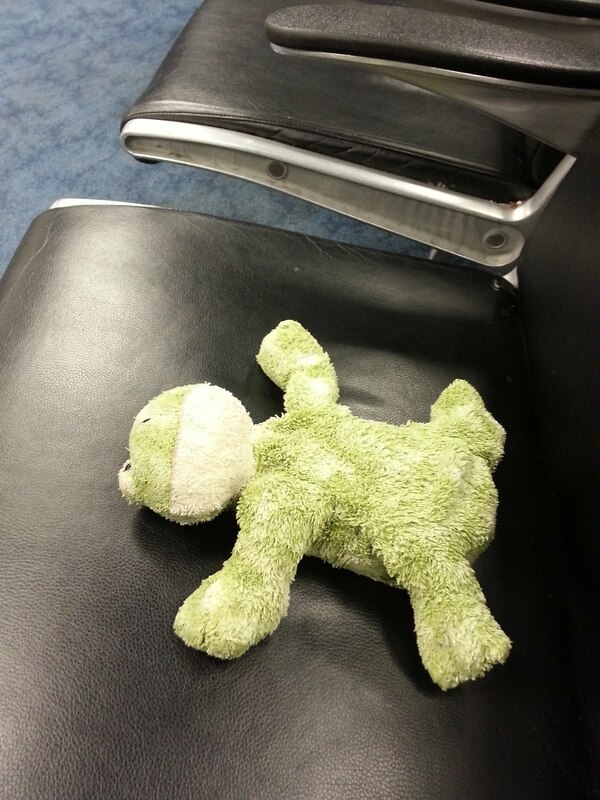 Froggy slept at the airport. I apologize if you actually follow this blog and were expecting more substance today. Sometimes, this is my life. My daughters all enjoy these pictures that I send home. The people who watch me take them probably think I'm some sort of weirdo. They're correct, of course. Remember on Wednesday when I wrote about adding some actual behavior to the enemies in the platformer I'm making with Phaser? I said that it bothered me how the code which defined the toad jumping behavior was applied to everything in the enemies group. It prohibited me from adding different kinds of enemies. I couldn't stop thinking about it, and came up with a solution. What I needed was better encapsulation of the enemy logic. Instead of the update function having to know how to deal with all different types of enemies, the enemies should know how to deal with themselves. I shouldn't need a jumpToad function global to my game - I should just need to add a jump function to the toad objects. Not all enemies will jump...but all enemies will be updated. The answer: make sure all enemies are given an update function that does whatever makes sense for that enemy. With Phaser, the game loop automatically calls update (if defined) on all Sprite objects. So I have to do is to add enemy update functions and everybody takes care of themselves. Let's take a look at it. First, I added the setupToad function that will take a Phaser Sprite object and add in the toad-specific functions. This must include update, but can be whatever else is needed - private variables, other functions, etc. If I add another type of enemy, let's say moles, I would add a setupMole function that gives Sprites mole-specific stuff. As you can see above, I give toad objects an update function, as well as a jump function. I also give them a jumping flag. The update function uses that flag and other Phaser functions to call jump under certain conditions. All this code was spread around before, but now it is all contained right here. The best part is that I can create more types of enemies and the update function won't change at all. The game plays exactly the same as it did before, which you can prove to yourself by playing it here: http://amphibian.com/eight-bit/. 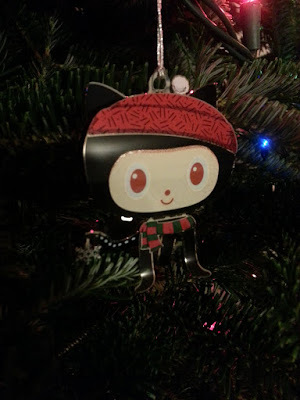 You can also view the complete source code on GitHub. Also, you should look at today's comic. I've decided that emoji are the 21st century version of cave wall drawings. What ever happened to using words? 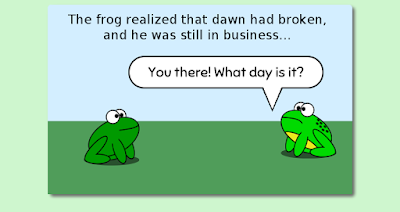 I draw frog pictures online. 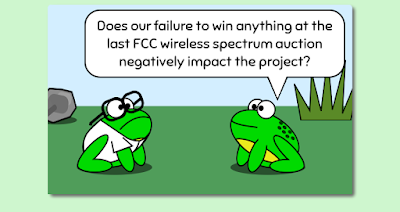 Anyway, I wanted to do a comic where the frogs talked to each other using emoji, but I quickly encountered several problems. The native emoji on Windows look terrible, and are incomplete. And knowing exactly what my mobile users would see was impossible due to inconsistencies between the different phone emoji sets. 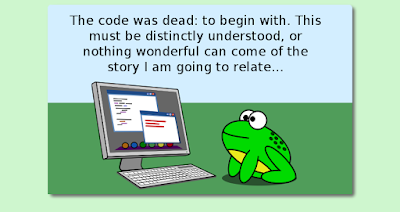 Additionally, I would have to make some code changes to Amphibian.com's editor because it destroys the extended Unicode character values that are required to write in emoji. As it turns out, emoji on the desktop web is a legitimate problem. But there is a solution! I found Emoji One, open-source emoji engineered for the web. This is a great project that made adding emoji support to Amphibian.com extremely simple. Once that was done, I had a few options. 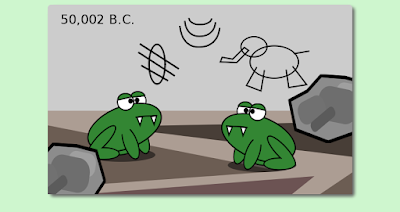 They provide functions for converting both Unicode and shorthand (such as :frog:) into pictures. I decided to go with the shorthand version for my site, mainly because it allowed me to more easily write the comics from my desktop browser (Chrome on Windows). The above code relies on jQuery, which I use on my site. As soon as the page is done loading, it finds every element on the page that has a class of bubble or free-text (the classes I use for speech bubbles and floating text areas) and converts the contents to include emoji images. It happens fast enough that I haven't been able to catch the shorthand text in there, but there could theoretically be some flicker. 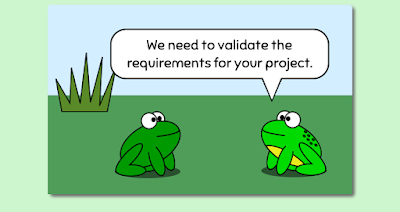 If I was more serious about this I could do the conversion on the server side instead...but this is just for a comic about frogs. 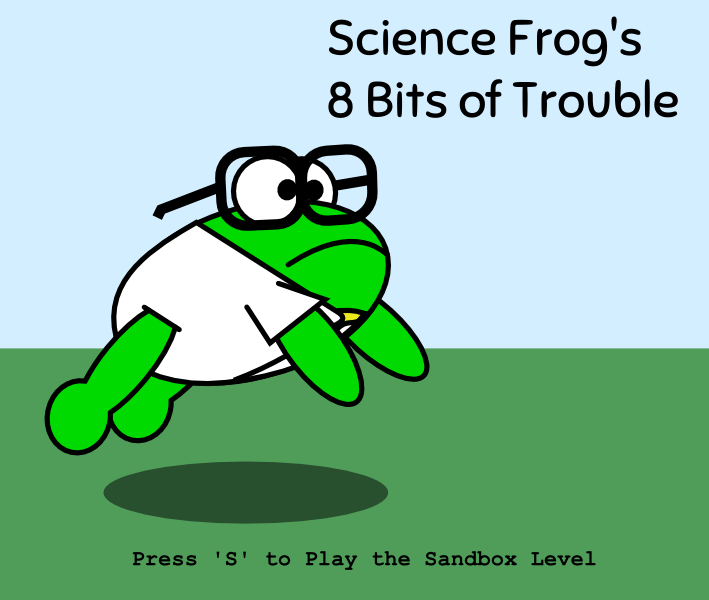 Today I took a break from adding any more serious capabilities to my Phaser platformer so that I could focus on a small but important change - the Science Frog images! I said from the beginning that this was supposed to be a Science Frog game, but so far Science Frog has not been seen. That's because I re-used the frog spritesheet from the soccer game just so I could get stuff working in the code. Drawing the images always takes me a while and I prefer to get the coding first. At some point, though, I have to stop and fix the images. I did sneak in a few minor code tweaks along with the new images. First of all, I am using half as many images as I was before. I only have pictures of Science Frog facing right. Instead of switching to a reverse animation sequence when he turns around, I am flipping the sprite by setting the scale.x value to be -1 or 1 depending on which direction he is facing. The important thing here is that for the scale flip to work, the anchor of the sprite has to be 0.5 on the x-axis. Otherwise, the image gets drawn someplace you don't expect! The other change is to use stop the animation and use only a certain frame when Science Frog is jumping or falling. This stops the effect of him flailing his arms and legs if you hold the arrow keys down while jumping. That just looked weird. For that, I just check to see if the y-velocity is non-zero and then set the sprite's frame accordingly. That's all for today! Remember, you can play the game here, and view the complete source code on GitHub. 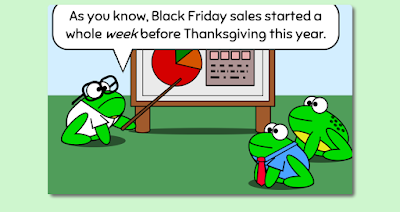 Have a Happy Thanksgiving, and be sure to read today's comic before you prepare your turkey.